In an era without the Internet and social networking sites, print was an instrumental media in communicating ideas and creating a sense of community. Magazines played an important part in social consciousness rising and discussions on ideas on liberation, citizenship, and modernity, in pre-colonial Malaya. 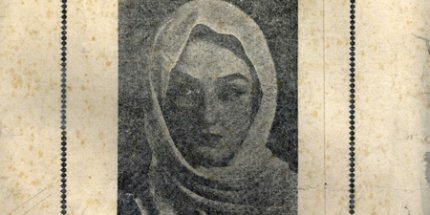 Women’s magazines, such as Bulan Melayu and Ibu Melayu, discussed what it means to be a modern woman in her many roles. These magazines were revolutionary in their outlook, promoting ideas of liberation, emancipation and nationalism. Some focussed on the roles of women as mothers and wives in the changing times and their contribution to society, while others took on more “radical” issues such as violence against women and child marriage. 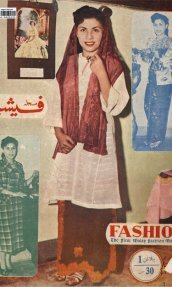 There were also magazines that focused on fashion and entertainment but they too included discussions on the role of women in society. 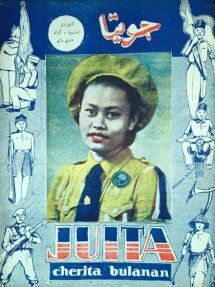 The first women’s magazine, Bulan Melayu, was published in 1932 -1941 by the Malay Women Teachers Association of Johor. 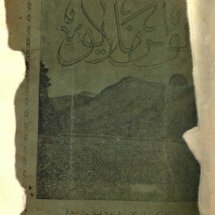 Its goal was to “assist fellow women, whether those working at home or those working outside, such school teachers” and to bring “enlightenment to the Malay world.” This magazine, lead by editor Ibu Zain, paved the way for early discussions on the anti-colonial struggles. 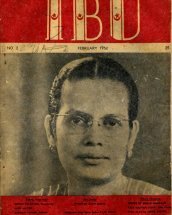 Another early example is Ibu Melayu, a women’s magazine published in 1946 by the Women’s Association of Penang, which aspired to assist women “ to be active in strengthening their position as dutiful mothers.” This magazine was short lived and ended its circulation in 1947. 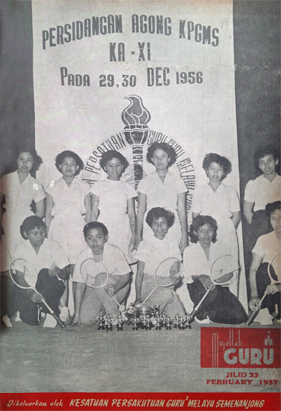 Other women-focussed magazine from the time included Dewan Perempuan, Ibu, and Puteri. violence against women and education opportunities for daughters. 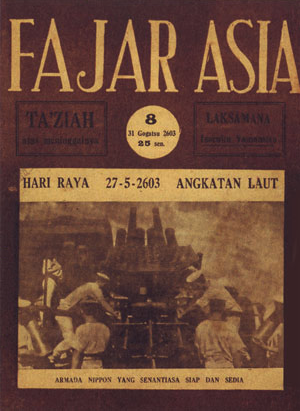 During the Japanese occupation, Japanese sponsored magazines—Fajar Asia and Semangat Asia, both published in 1943, included women’s section that provided space for women intellectuals at the time to discuss ideas of nationalism and the role of the ‘new women’ (puteri baharu). Some of the writers include Zainun Sulaiman, Mas Neng, Rohana Djamil. The women’s magazines we present here is just a sample of the women-focussed periodicals published between the 1930s-1960s. We hope to add to this collection over time. We note that in particular, we are missing information on vernacular women’s magazines. Some of the magazines were very short lived, while others managed to be in active circulation for many years. These publications are important and significant for Malaysian history. Women were writing for other women to communicate new ideas and to deliberate on issues that were important to them. As the nation experienced great changes from colonialism to independence, these early women’s magazines provided a platform for women’s voices to be part of the larger conversation.